Britain’s Royal Air Force is flying out one million euros ($1.3 million) in emergency loans for UK military personnel, as a “contingency measure” in case debit cards and cash machines stop working on the island. Britain’s ministry of defense (MoD) said the flight has a “contingency measure” in case banks in Cyprus stop giving out cash, as the country deals with the fallout from a controversial Eurozone bailout. “An RAF flight left for Cyprus this afternoon with one million euros on board as a contingency measure to provide military personal and their families with emergency loans,” a MoD spokesman said. The spokesman continued that the MoD is approaching personnel to ask if they want their March and future month’s salaries paid into British rather than Cypriot bank accounts. The cash was flown out of Britain on a voyager aircraft from RAF Brize Norton in Oxfordshire in the south of England on one of the two weekly military flights between Britain and Cyprus. 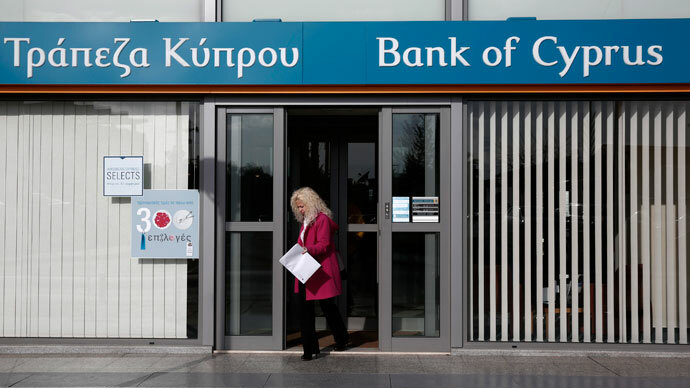 The UK government affirmed earlier Tuesday that it would refund any military or government employees whose Cypriot bank accounts were subject to an EU levy that was part of the bailout deal. 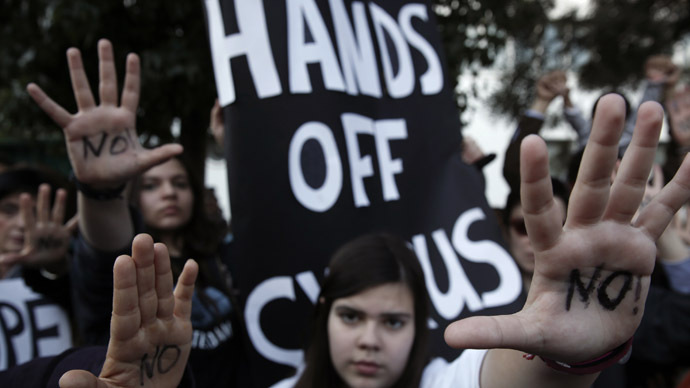 A controversial one-off levy on savings of up to 10% in Cyprus has been announced as part of the deal. 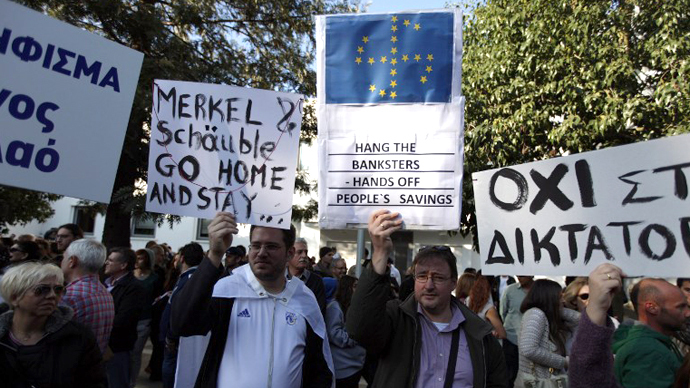 The tax is part of the conditions for Cyprus to get a loan from the EU and the IMF. 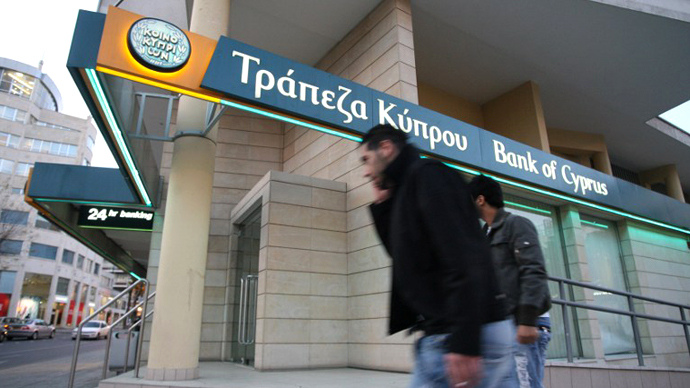 The island needs a 15.8 billion euro ($20.3 billion) emergency loan to rescue its banks, but EU officials have said that 5.8 billion of the rescue package must be raised by Cyprus. 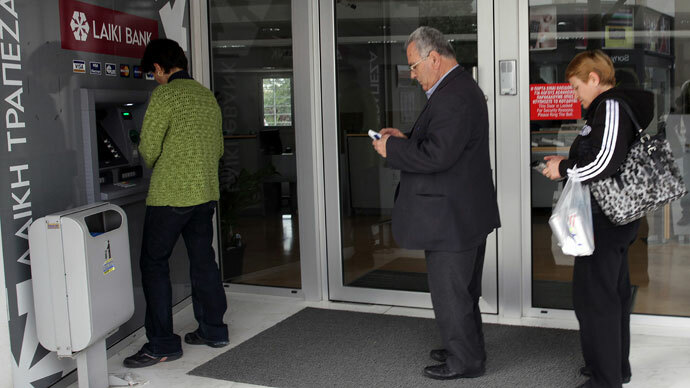 A revised version of the tax has yet to pass through the Cypriot parliament, and would mean a 6.75% levy on deposits over 20,000 euros and 9.9% on those over 100,000 euros. 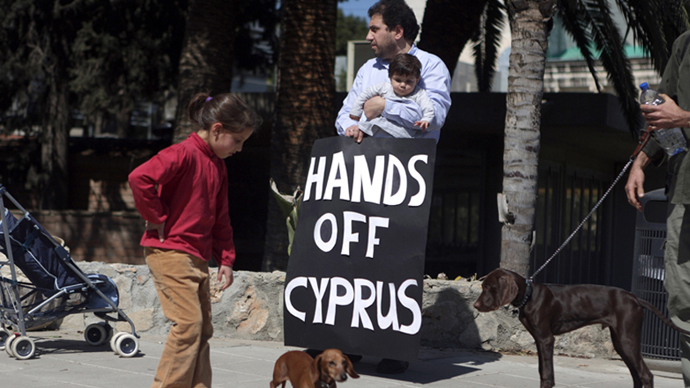 A debate on the bailout is currently underway in the Cypriot parliament but no MP’s are expected to vote in its favor. Unlike Cyprus, the UK does not use the euro having stayed with the pound. 3,000 British troops are based in Cyprus at two military bases, some of whom are involved in UN peacekeeping activities between the Greek and Turkish sides of the island.